GOP leaders in the majority-Republican General Assembly announced Thursday they were backing legislation to raise the limit for all tobacco products, citing the rapid growth of teenage vaping. RICHMOND, Va. (AP) — Tobacco-friendly Virginia, where the early economy was powered by the leafy plant and the industry continues to hold great sway, is preparing to put new limits on who can buy tobacco products. Citing the rapid growth of teenage vaping, GOP leaders in the majority-Republican General Assembly announced Thursday they are backing legislation to raise the age limit on buying tobacco products from 18 to 21. Virginia-based Altria, one of the biggest tobacco companies in the world, said it supports the proposal. If successful, Virginia would join several other states that have raised the age limit of purchasing tobacco products. 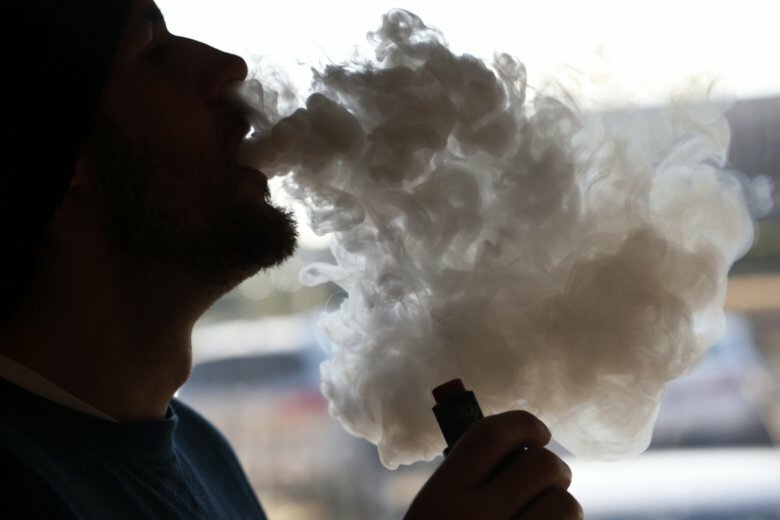 While traditional tobacco use among teenagers has been declining, state Republicans said they’ve grown increasingly concerned about a sharp increase in teenage vaping. “Obtaining vaping products from friends and classmates who are already 18 years old is just too easy for the younger kids. Raising the age will have a positive effect on our schools,” said GOP Speaker Kirk Cox, a retired school teacher. Democratic Gov. Ralph Northam has not indicated whether he supports the proposal, but the pediatric neurologist has backed anti-smoking efforts in the past. The surprise announcement by Republicans is part of a wider effort to broaden their appeal to suburban voters ahead of legislative elections later this year. Democrats have made major gains in Virginia in the last two years as suburban voters unhappy with President Donald Trump have fled the GOP. Republicans have made a concerted effort during this year’s legislative session to win back those voters with several kitchen-table proposals, including improving school safety and expanding insurance coverage for children for autism. Altria could also be looking to garner goodwill among lawmakers by supporting an effort that could hurt its profits but diffuse a future push for stricter laws on vaping and other tobacco products. The Marlboro maker said last month that it will spend $13 billion to buy a share of Juul, a popular vape company that’s come under fire for its popularity among teenagers. E-cigarettes and other vaping devices have been sold in the U.S. since 2007 and have grown into a $6.6 billion business. Vaping devices heat a flavored nicotine solution into an inhalable vapor. They have been pitched to adult smokers as a less harmful alternative to cigarettes, though there’s been little research on the long-term health effects. Flavored e-cigarettes have been blamed for a recent increase in teen vaping rates, including among middle schoolers. A recent nationwide study found twice as many high school students used nicotine-tinged electronic cigarettes last year compared with the year before. The increase has set health officials scrambling. Food and Drug Administration Commissioner Scott Gottlieb recently pledged to try to tighten rules governing the sale of most flavored versions of e-cigarettes. Altria spokesman David Sutton said the company supports quick action to stop underage tobacco use. “The best approach to achieving this goal is simple: Raise the minimum age for purchasing tobacco products to 21,” he said.